Children love using technology and learning to navigate websites, online games, consoles, and touch screen technology, like tablets and smart phones, from a young age. It is important that we work together to support pupils in these environments to get the best out of using the internet. 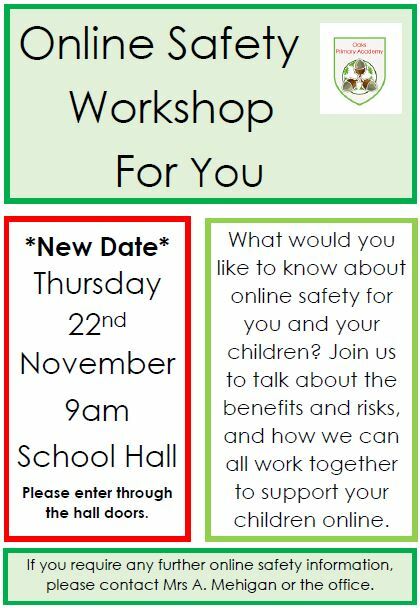 At Oaks Primary Academy, Online Safety is an important area of learning when pupils are using technology. We use every opportunity to discuss the benefits of technology but also, what we have to be mindful of.